You may not have noticed how bikers nod to each other riding along the roads. (In France, they put their foot out to the side, or drop their hand from the handlebars.) If you get stuck, and look in distress, In Europe most will stop to help. We are on the road for each other. Bikers are one group of people who travel the roads for the fun of it. Few car drivers do these days. Satnav is great, but it is much more engaging to ask for help. I am sitting here typing, so clearly, getting lost has never been fatal or even injurious. I’ve even put on the numberplate of my camper “Lost. In wonder, love and praise.” For me, losing myself in the astounding beauty of the mountains, forests and coasts of Europe (I don’t mean off-road, though I do that sometimes too) seems to inspire worship of the Creator. I’m part of it all, as he is. And so are you. So get lost in it! 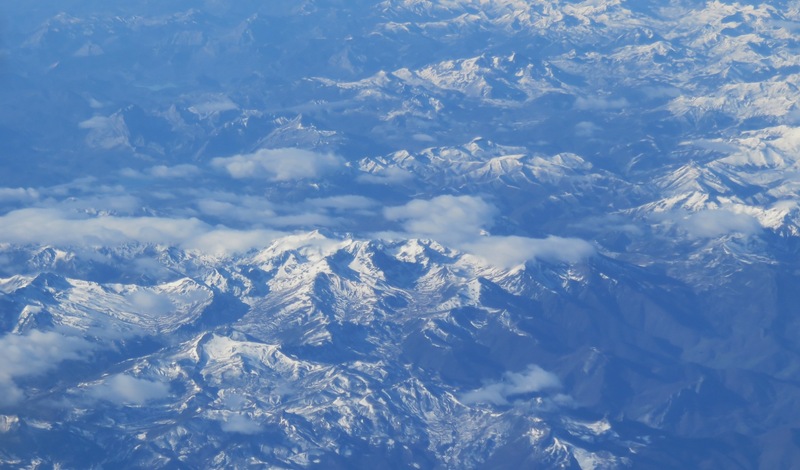 Pic: Snow on the Pyrenees from the plane.